The innate immune system is an ancient mechanism of host defense found in essentially every multicellular organism from plants to humans. In invertebrates, it is the only mechanism of defense. Vertebrates also developed adaptive immune response. For decades, innate immunity in mammals was dismissed as an evolutionary remnant of immune system, gaining time by non-specific digestion of pathogens before operation of the exquisitely complex adaptive immune response. However, the discovery of the Toll-like receptors (TLRs) has opened up an entirely new era in the understanding of the role of innate immunity. Innate immunity is capable of discriminating between individual species of microbes through recognition of different microbe-specific components by individual TLRs, and rapidly induces appropriate immune responses against pathogens. 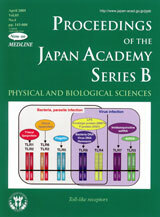 Furthermore, activation of innate immunity is a prerequisite to induction of acquired immunity. This paradigm shift has changed our thinking on the pathogenesis and treatment of infections, immune diseases, allergy, and cancers. 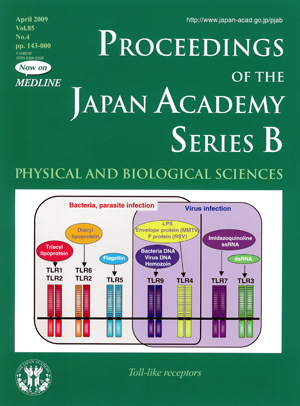 Dr. Akira has identified many ligands recognized by TLRs, and established the position of TLRs as pathogen recognition receptors. He also clarified the signaling pathways from TLRs to the nucleus. The identification of TLR ligands and clarification of their signaling pathways have opened the possibility to develop new approaches to treat a wide spectrum of diseases, including infectious, malignant, autoimmune and allergic diseases.